HomeComic PreviewsJudge Dredd Megazine #363 Out Now! 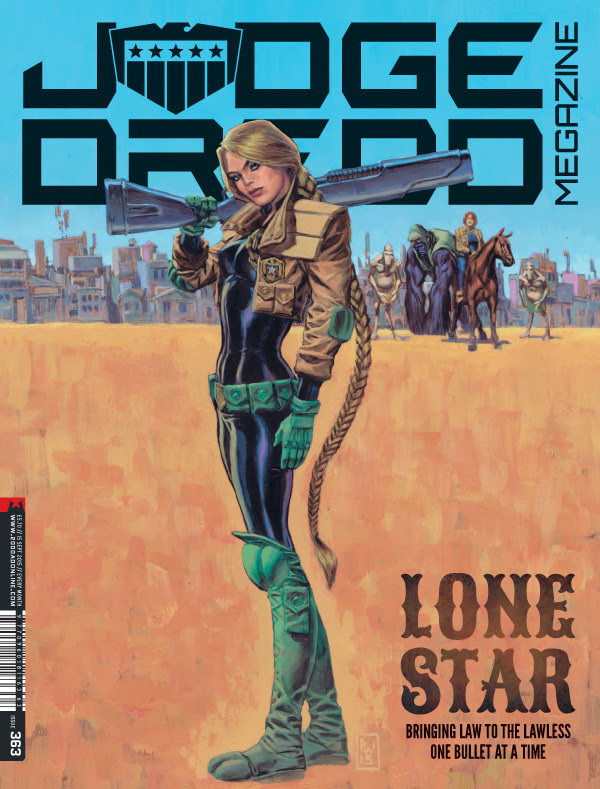 Judge Dredd Megazine #363 Out Now! Get the latest Judge Dredd Megazine digitally now! In this issue: Judge Dredd: El Maditoby Gordon Rennie, Carlos Ezquerra, and Annie Parkhouse; Demon Nic by Paul Grist; Storm Warning: The Relicby Leah Moore, John Reppion, Tom Foster, Kirsty Swan, and Simon Bowland; Lawless: Between Badrock & A Hard Place by Dan Abnett, Phil Winslade, and Ellie De Ville; Interviews:Paul Cornell, Nick Abadzis.